The All Solar Systems specialises in Commercial Solar Hot Water heaters which are suitable for single installation, Manifold Pack or Demand Duo installations. Our water heaters are a high efficiency gas continuous flow water heater available in three models. Contact our team for your custom no obligation free quote. 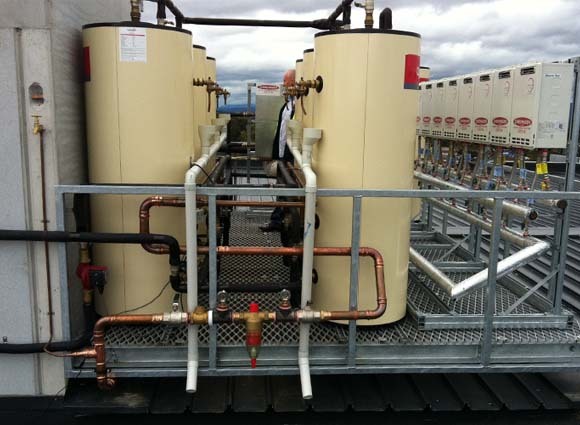 Our Commercial Solar Systems and Commercial Solar hot water systems provide solar pre-heated water to the Commercial gas hot water systems such as the Manifold Pack or Demand Duo system. The system is selected according to the daily hot water demand for the application, the required solar contribution and what solar zone the system is located in. Contact our Commercial Solar Hot Water team today on 0400 598 376.